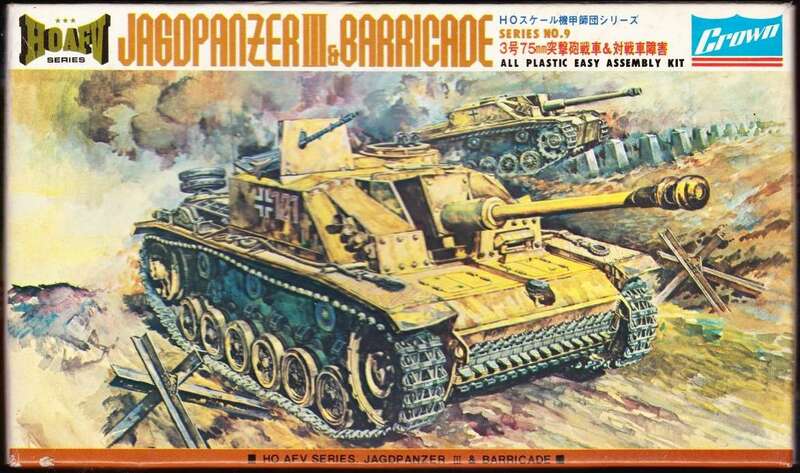 Somewhere around 1975 AHM (Associated Hobby Manufacturors) released 8 and maybe even 10 HO size plastic kits in conjunction with CROWN. 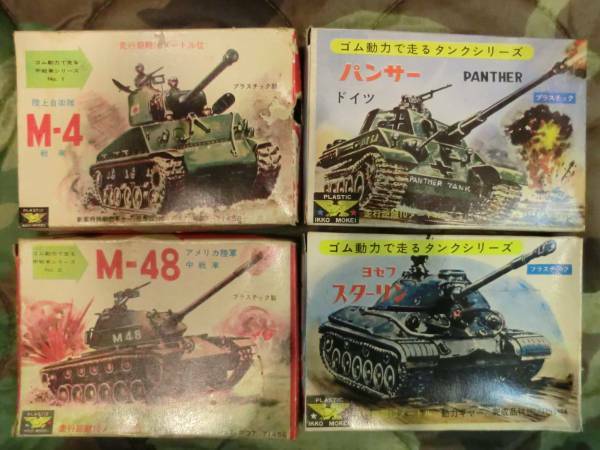 They were packed in two part boxes. 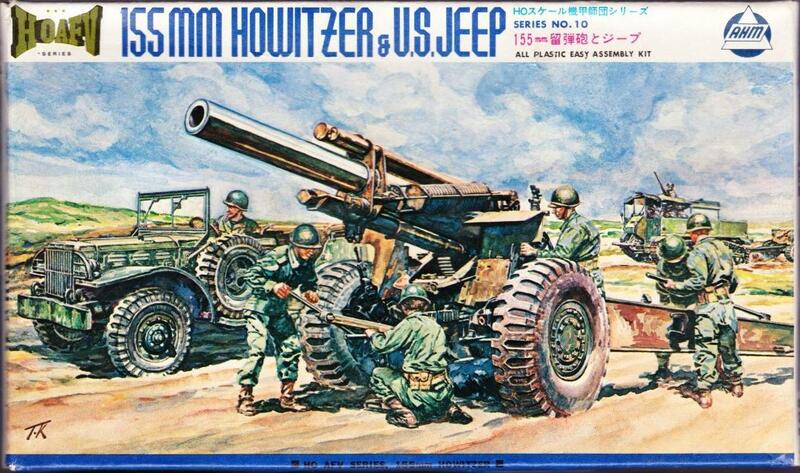 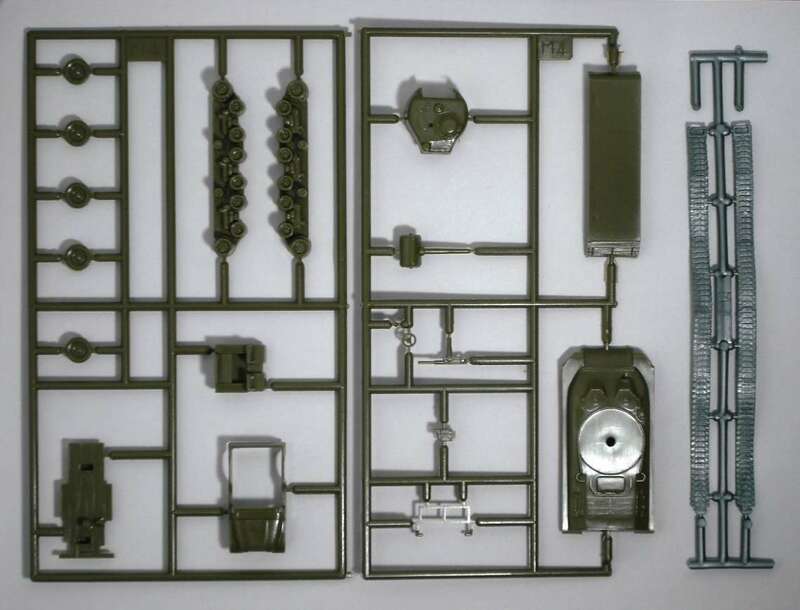 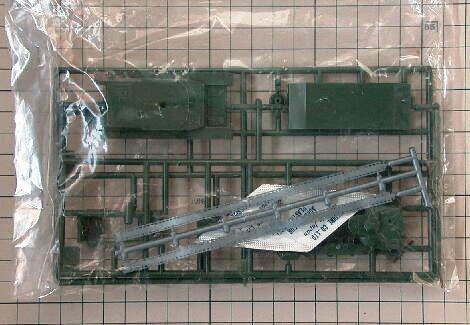 The quality and also size of the kits varried, some are even closer to 1/76, like the M 40 155mm SP. 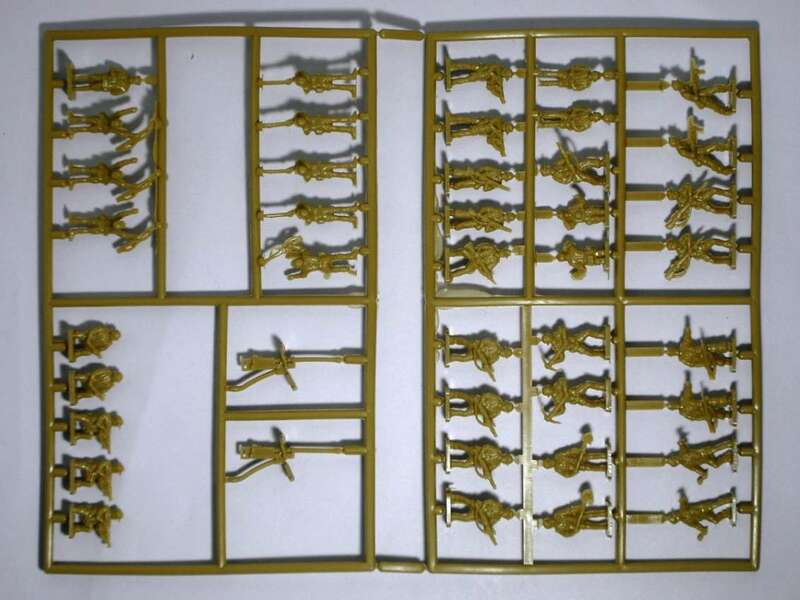 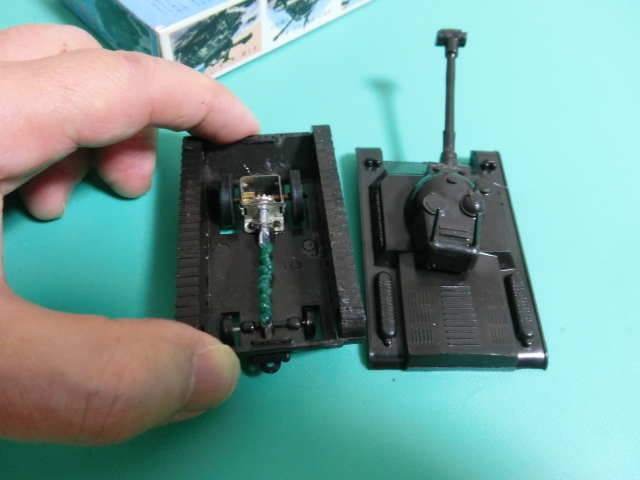 The mouldings from the Japanese company CROWN are very toy-like. 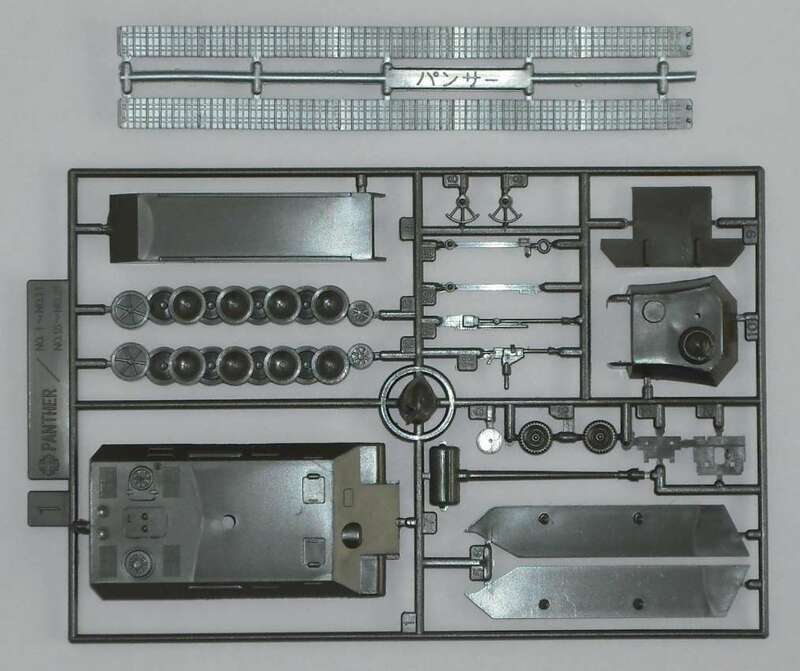 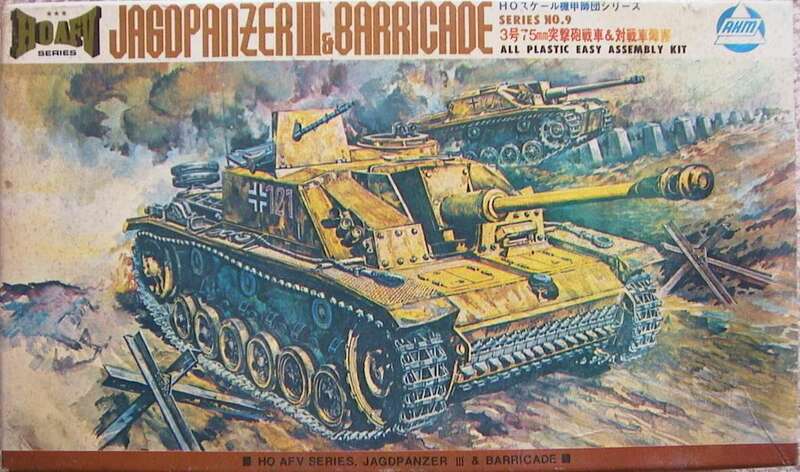 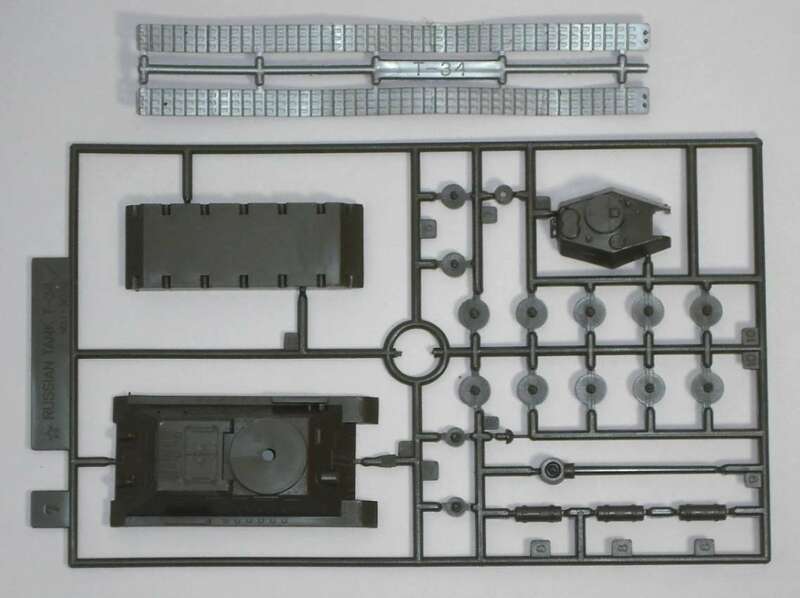 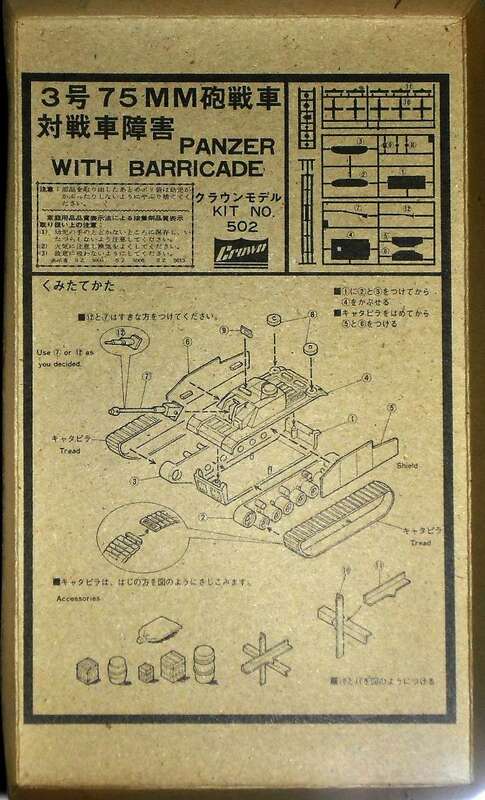 Some kits have accessories such as an AT gun or tank barricades. 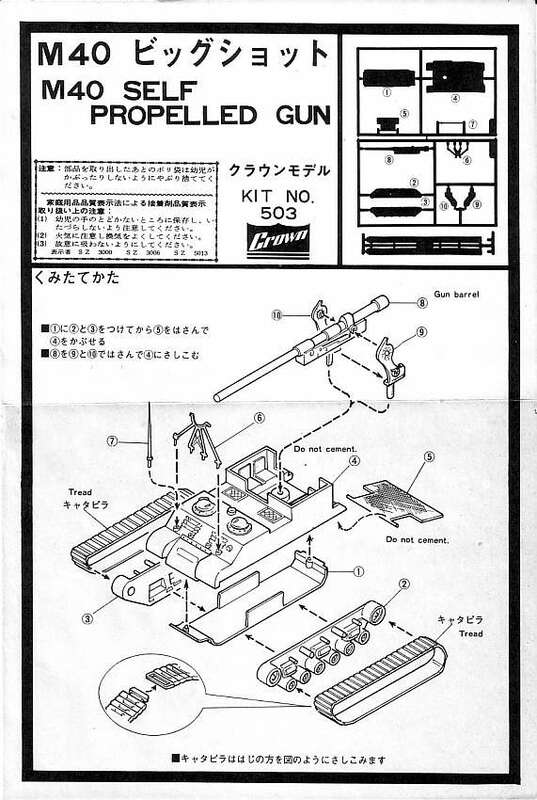 In good Japanese tradition the kits are confusingly numbered in "series" numbers and "K" numbers of which only the latter makes sense. 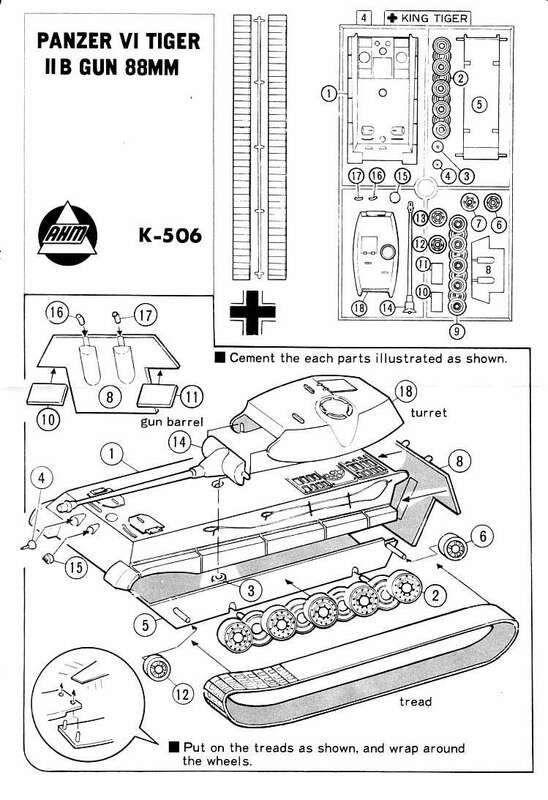 The attached pictures will show the series K-501 to K-508. 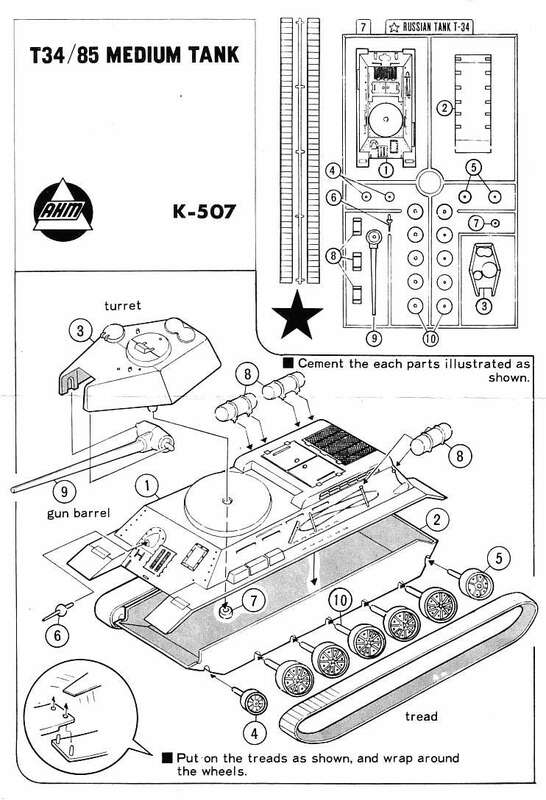 The kits are not found in any AHM catalogue known to me. 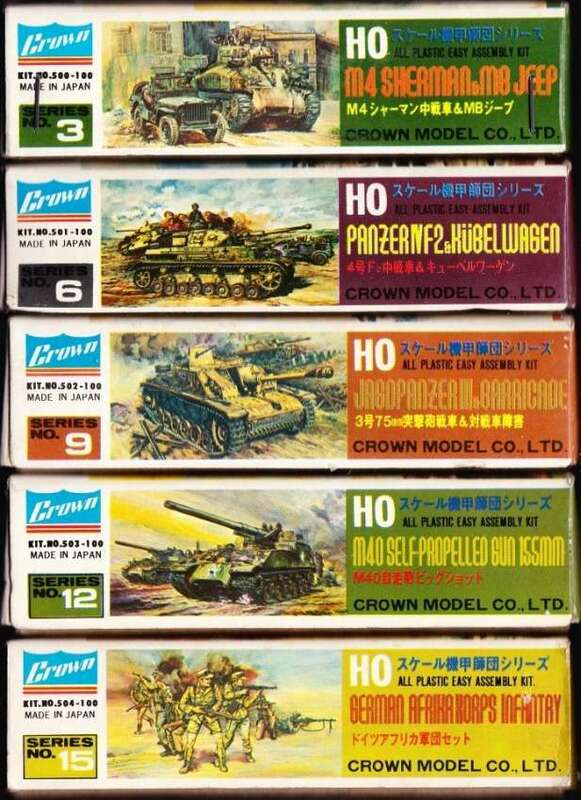 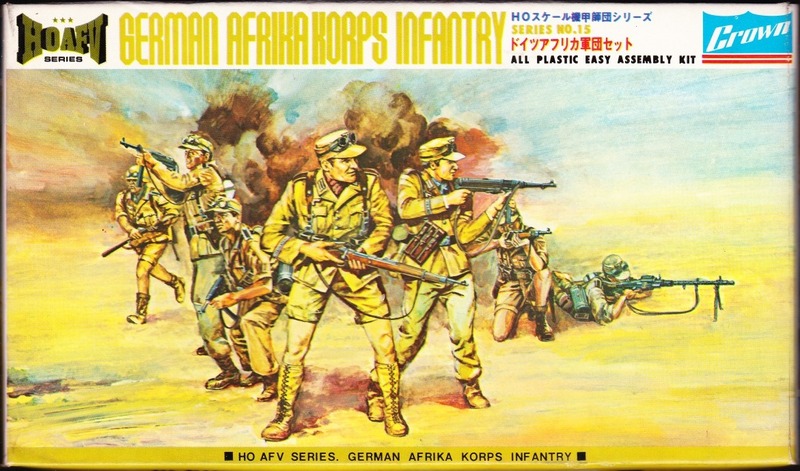 In my research I found that AHM released 8 HO size plastic kits in conjunction with two Japanese companies, namely Crown and Ikko. 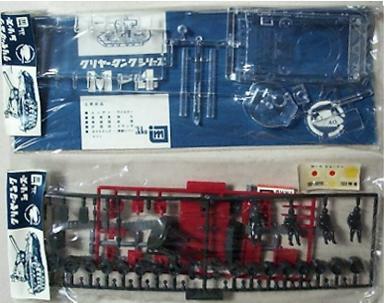 Series number 3, 6, 9 and 12 were originally released by Crown in Japan, and series number 1, 4, 7 and 10 were released by Ikko ("Ikko Mokei" or "IM"). 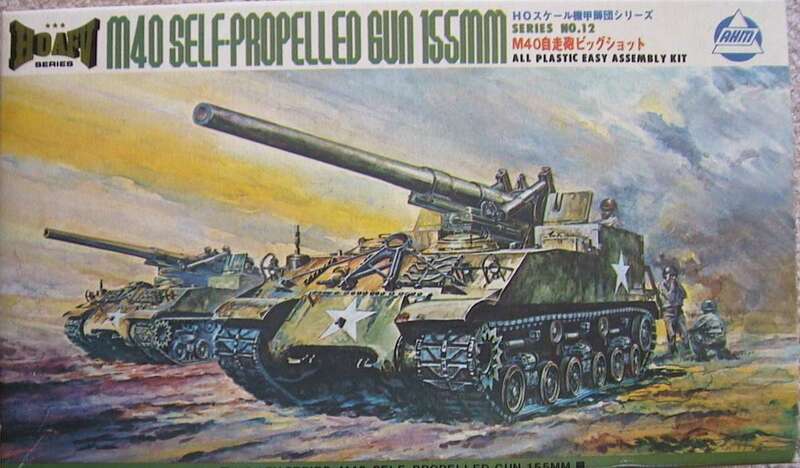 These original issues were released in 1974. 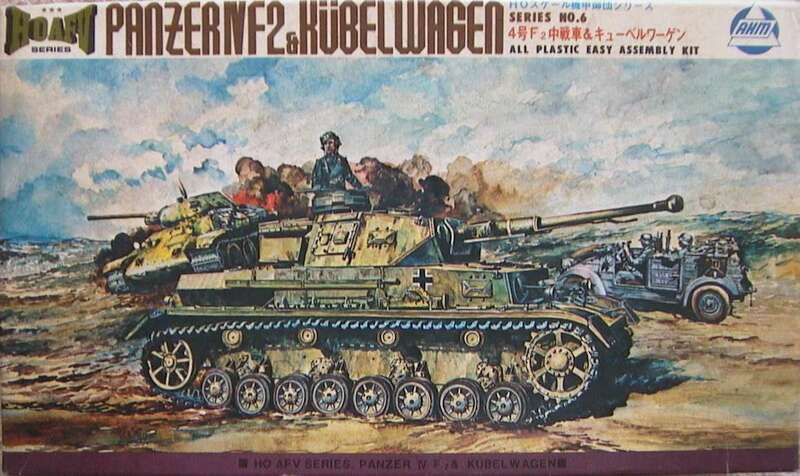 Series number 2, 5, 8 and 11 were planned to be released by another company, but never released. 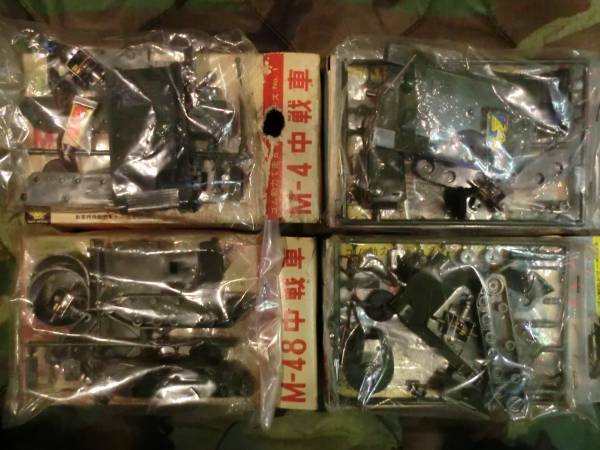 The name of third company is not clear, but it may be Mitsuwa since Ikko, Mitsuwa and Crown (IMC) jointly released 1/144 scale aircraft models at the time. 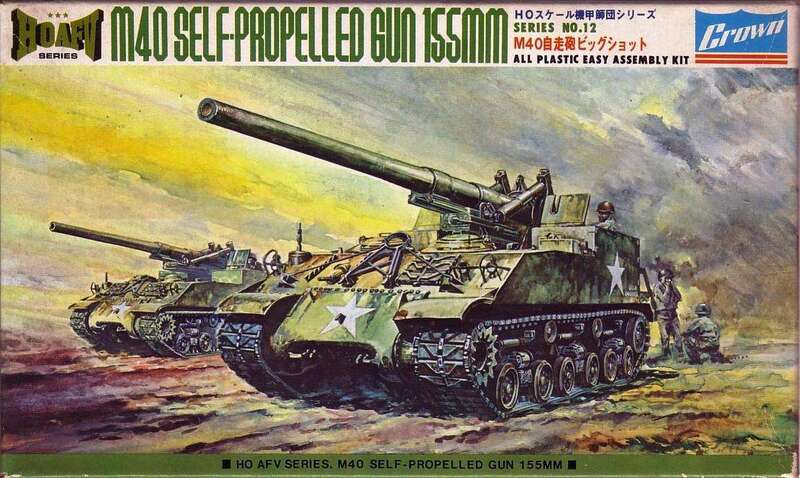 Series number 13 and 15 were not released either. 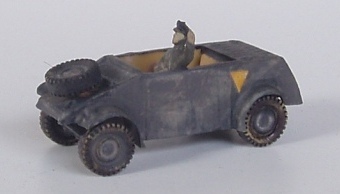 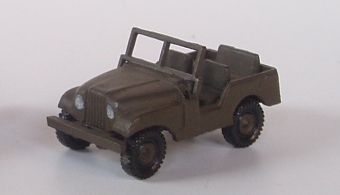 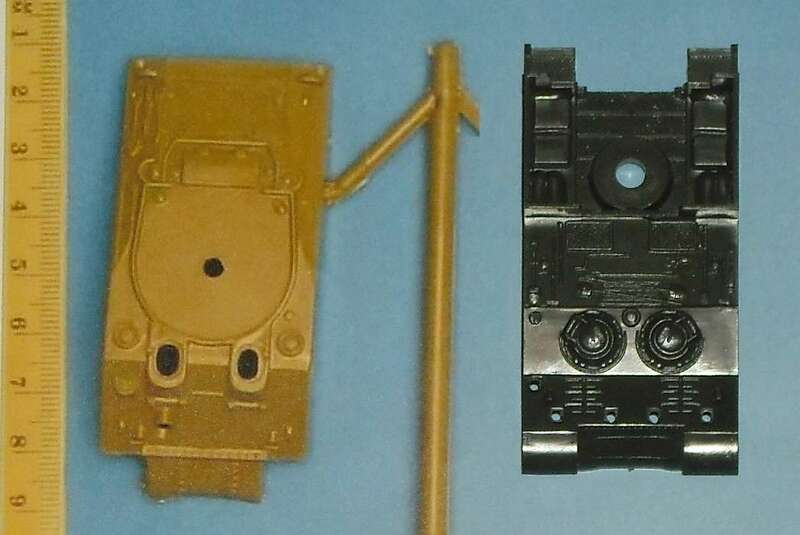 These models are similar to Roco Minitanks in shape and size, but tracks are separated from road wheels and molded in belt shape. 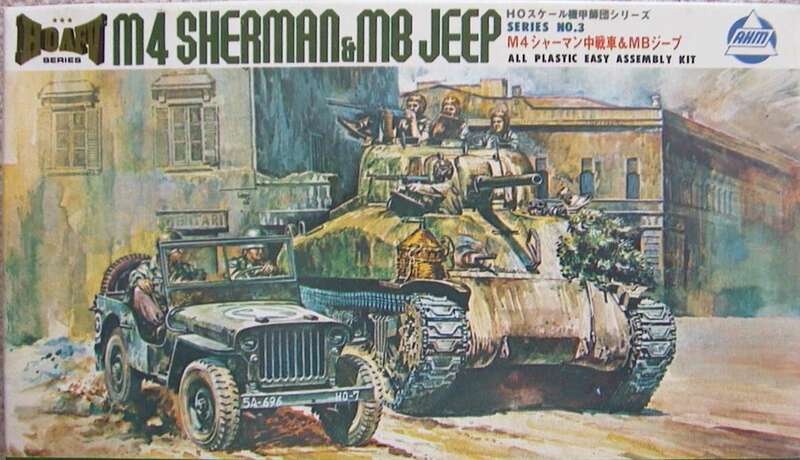 Talking about size, the model of M40 is about the same size as a 1/76 scale Sherman, but remember that the hull of M40 was expanded both in length and width from Sherman. 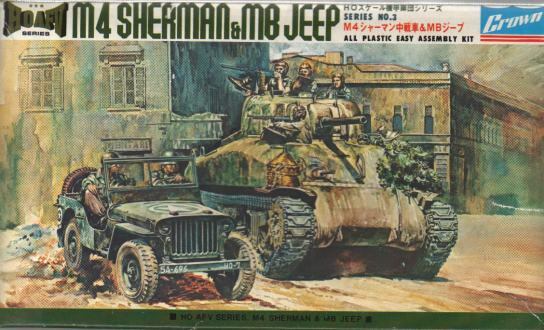 The M40 model is actually around 1/87 scale, though the Sherman model seems to be smaller than the Roco 1/87 scale models. 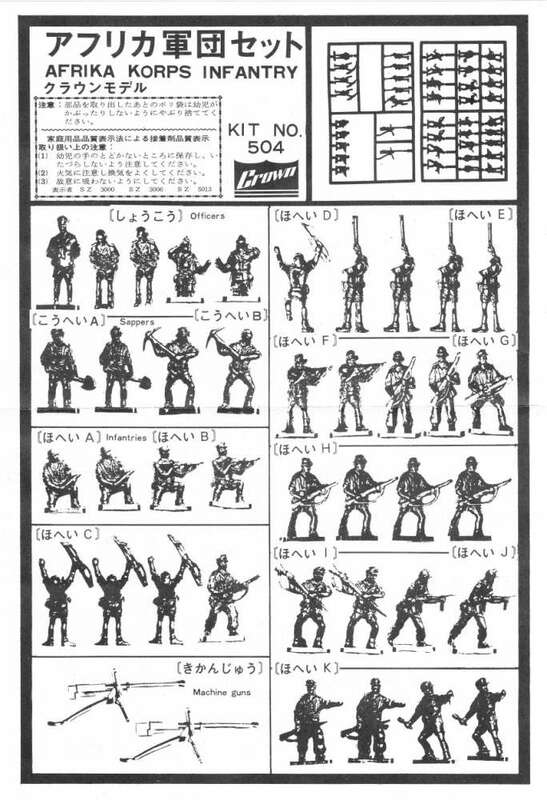 K-numbers were given by AHM. 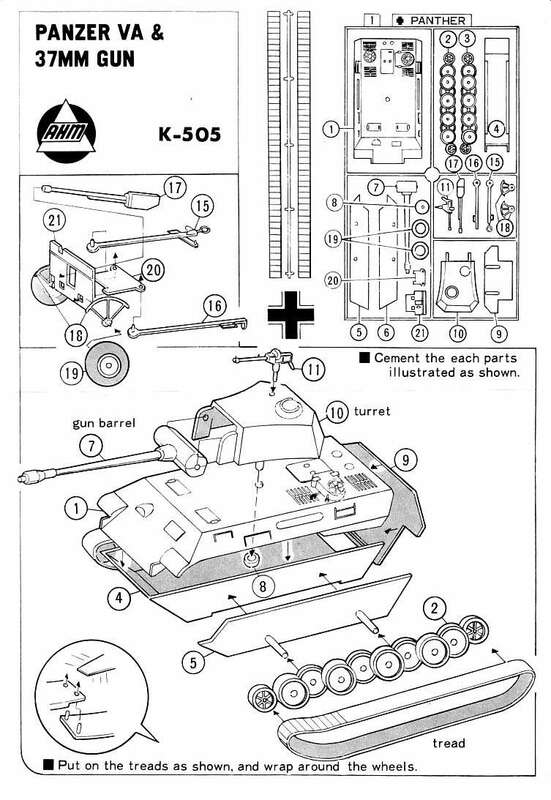 Original issues had different kit numbers. 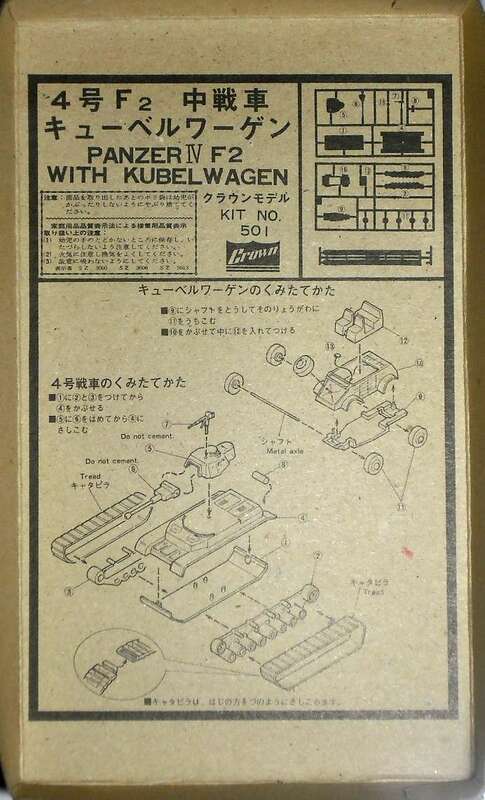 Packages of original issues are almost identical to AHM issues except for the company logo and kit number. 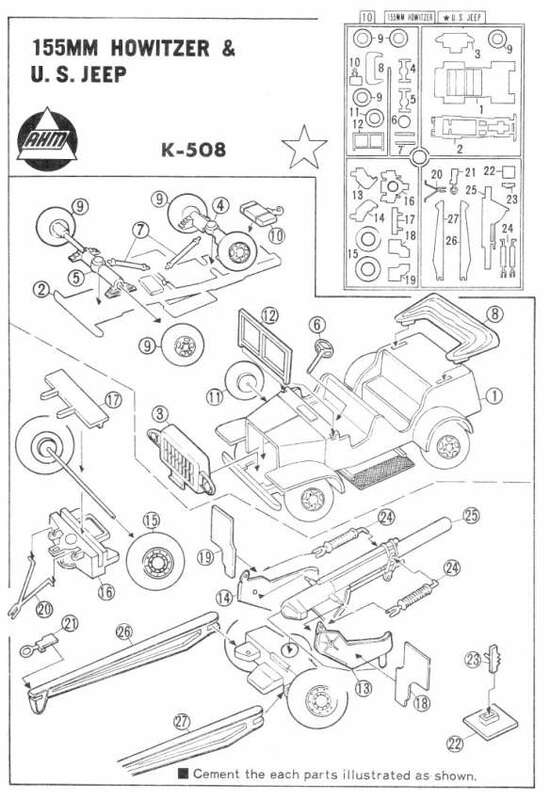 AHM K-numbers, series numbers, name of original manufacturer and original kit numbers are as follows. 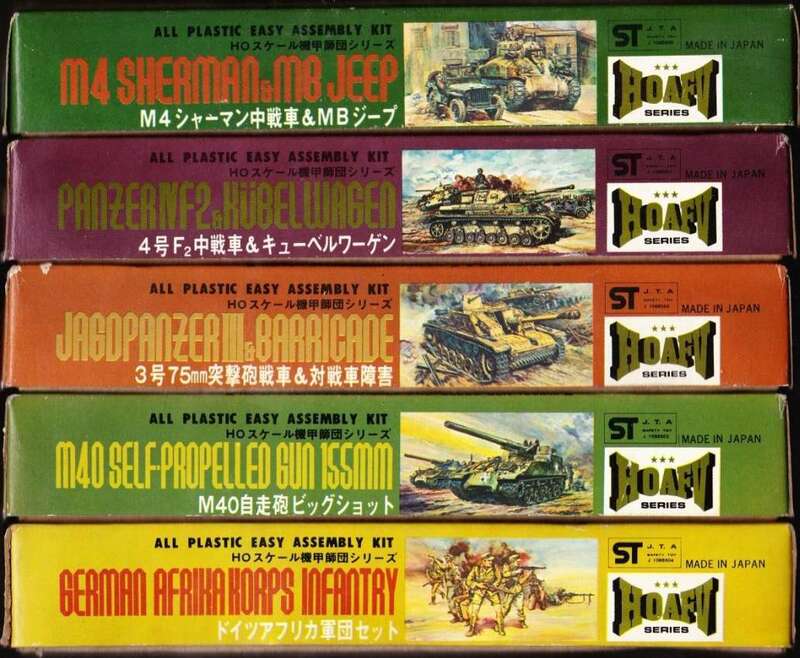 The list of models is as follows. 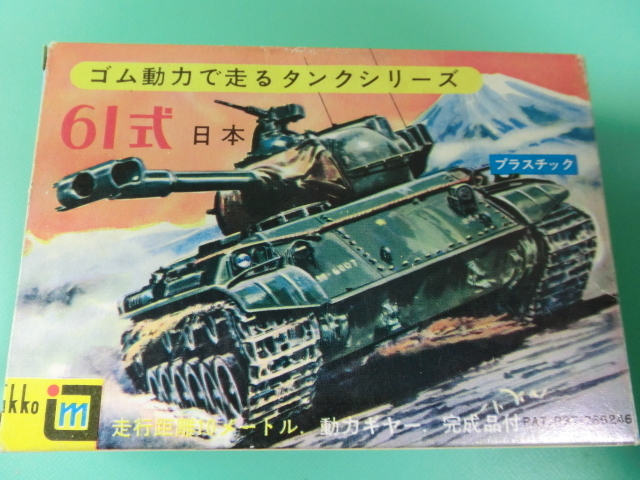 Ikko Mokei was one of the early Japanese plastic model manufacturer, starting in 1962 and continued until the late 1970s. 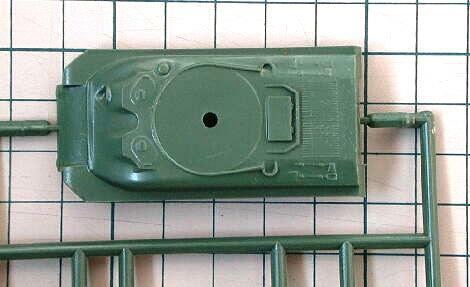 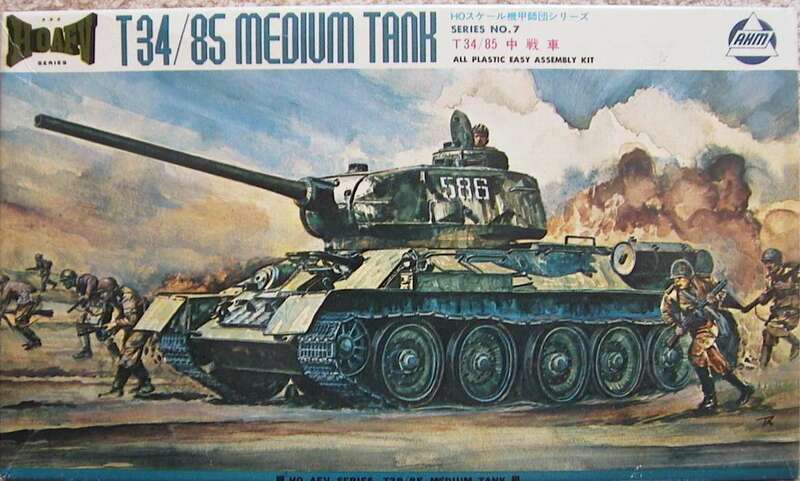 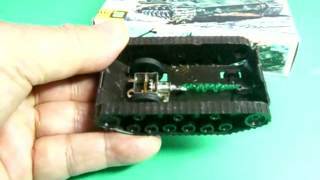 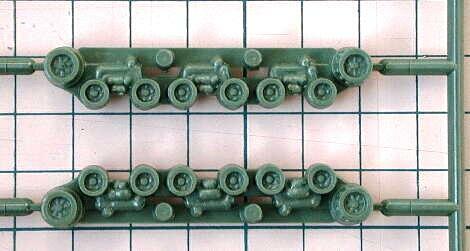 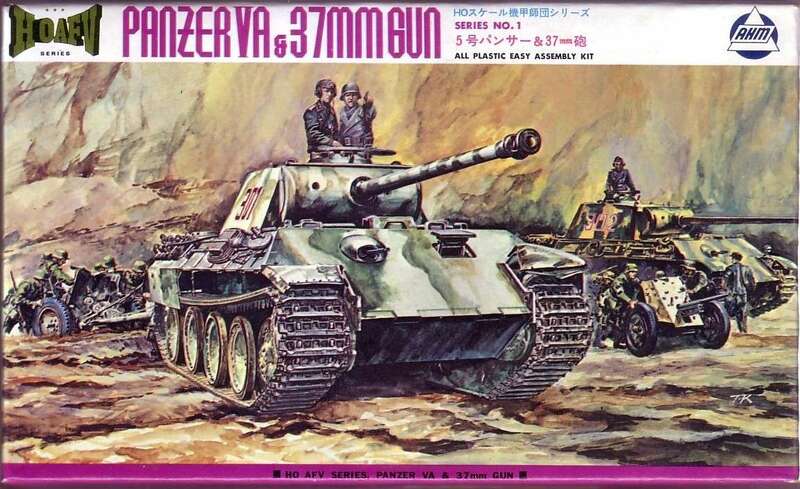 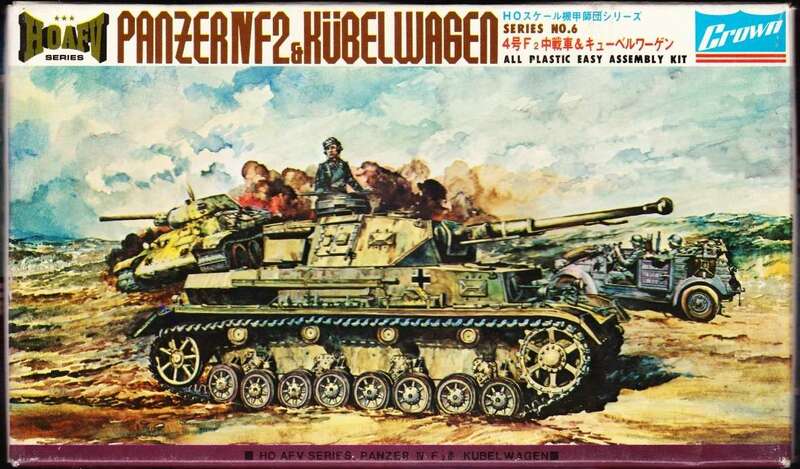 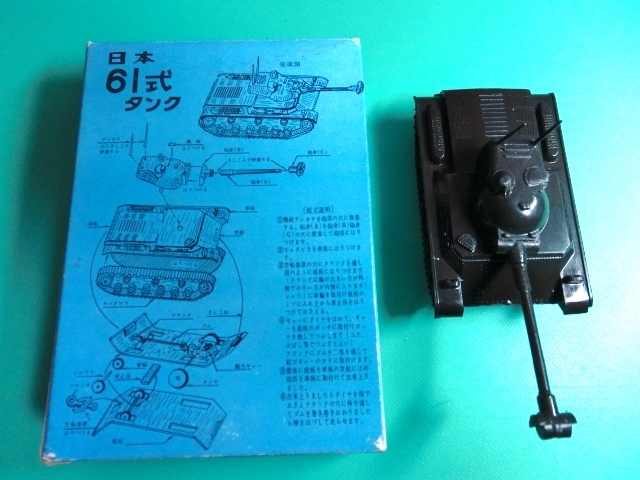 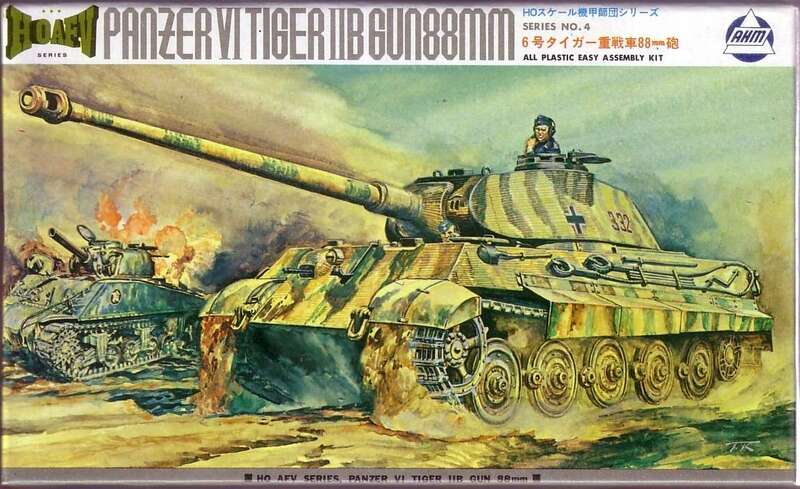 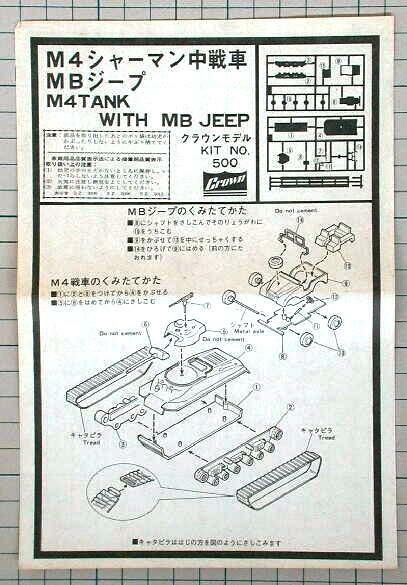 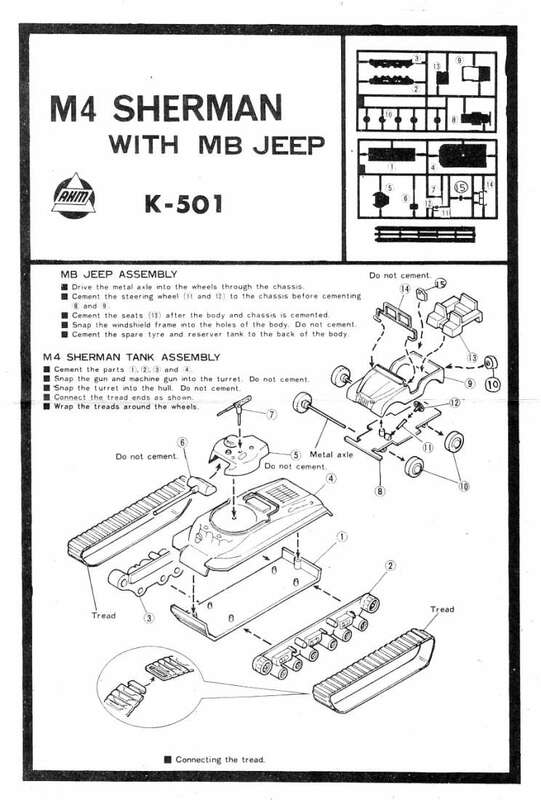 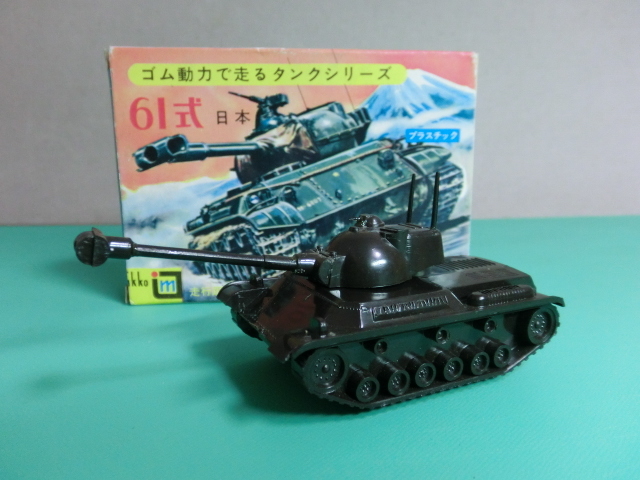 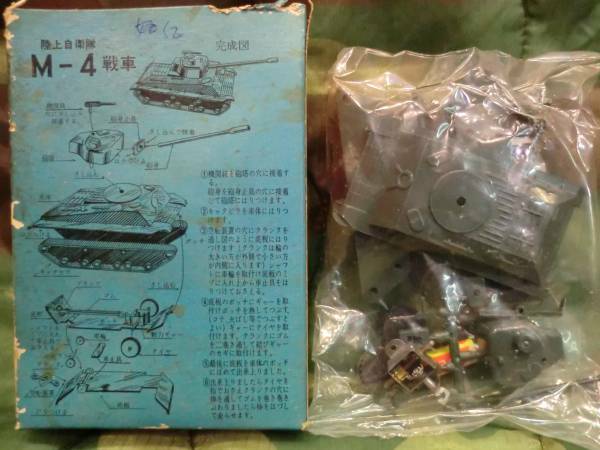 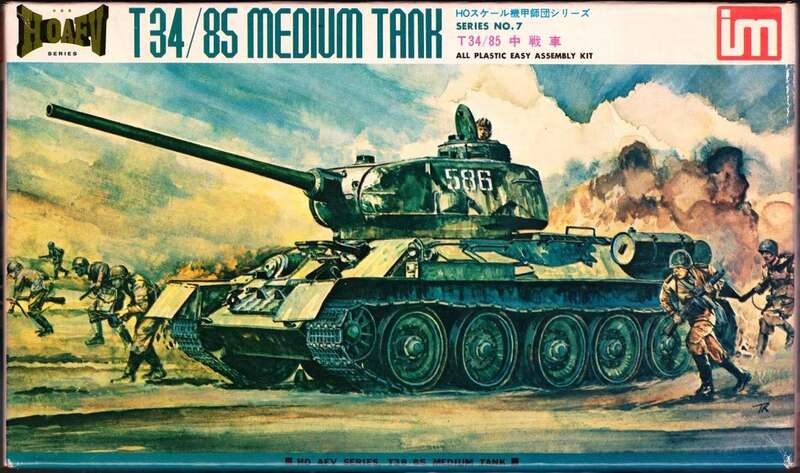 Ikko Mokei released some rubber-powered miniscale tank models between 1963 and 1965). 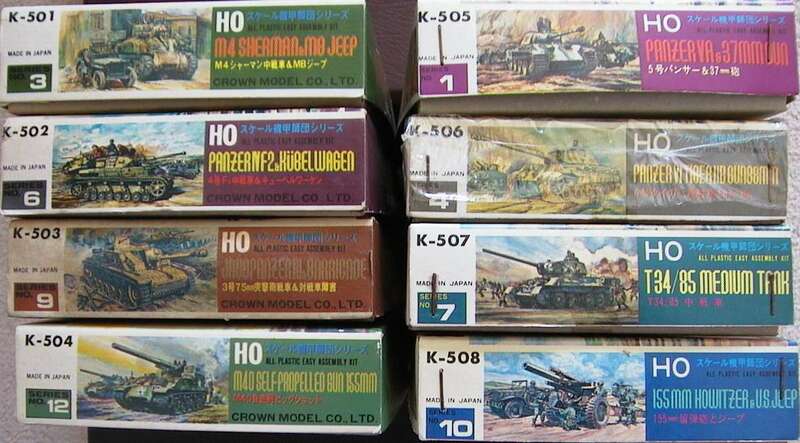 These models were not accurate and in only approximate H0-scale. 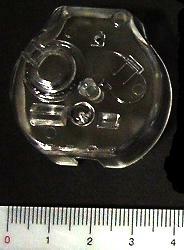 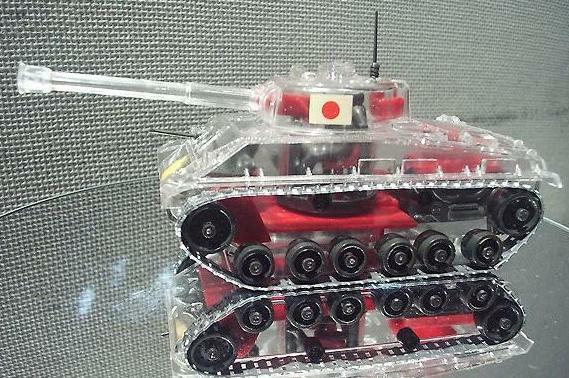 Ikko Mokei also released two "clear tank" models in 1964. 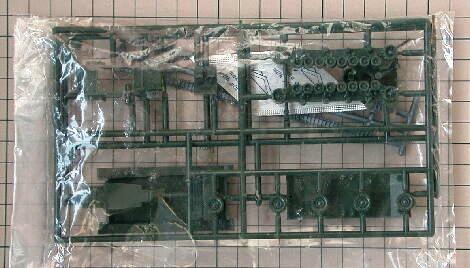 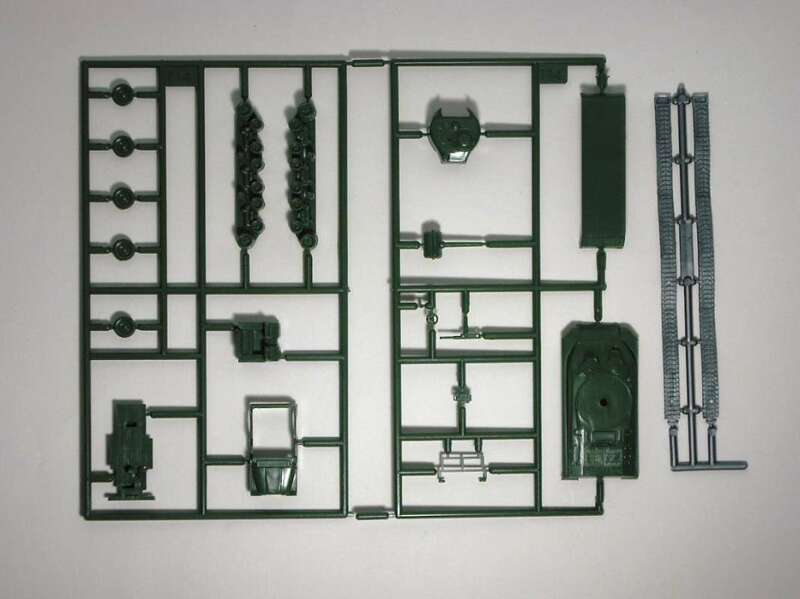 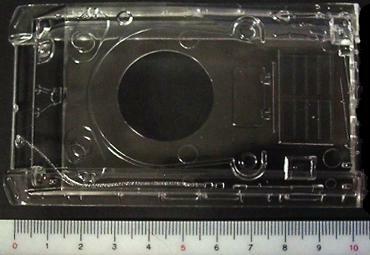 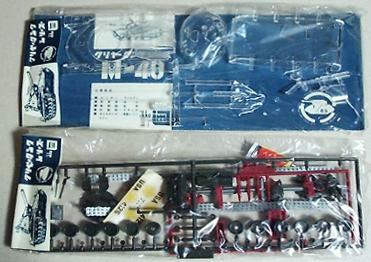 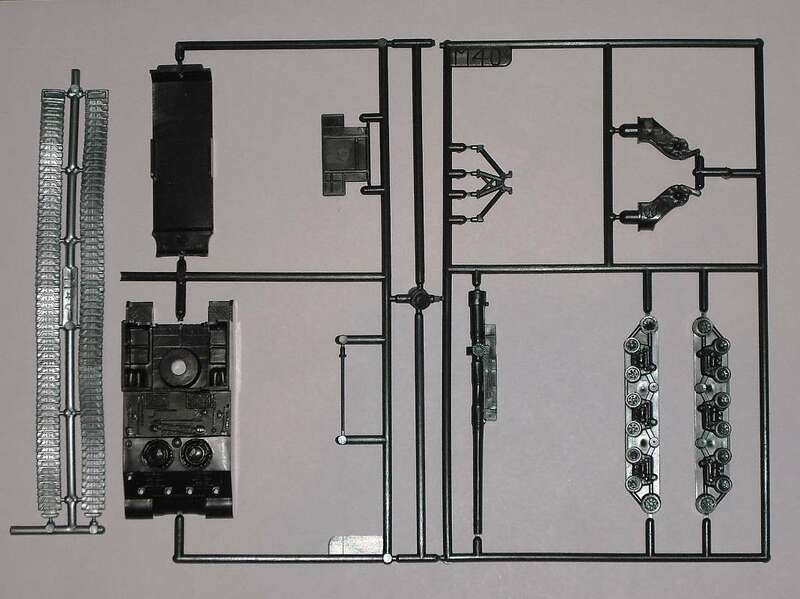 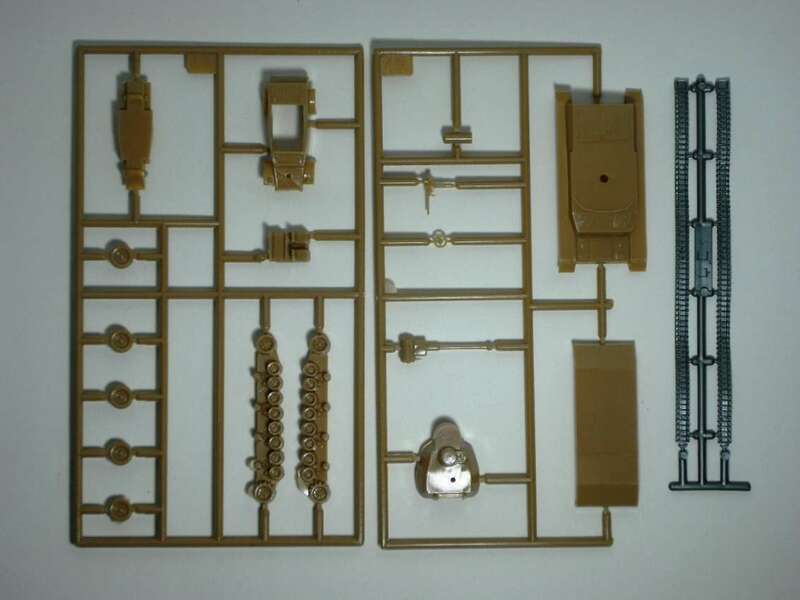 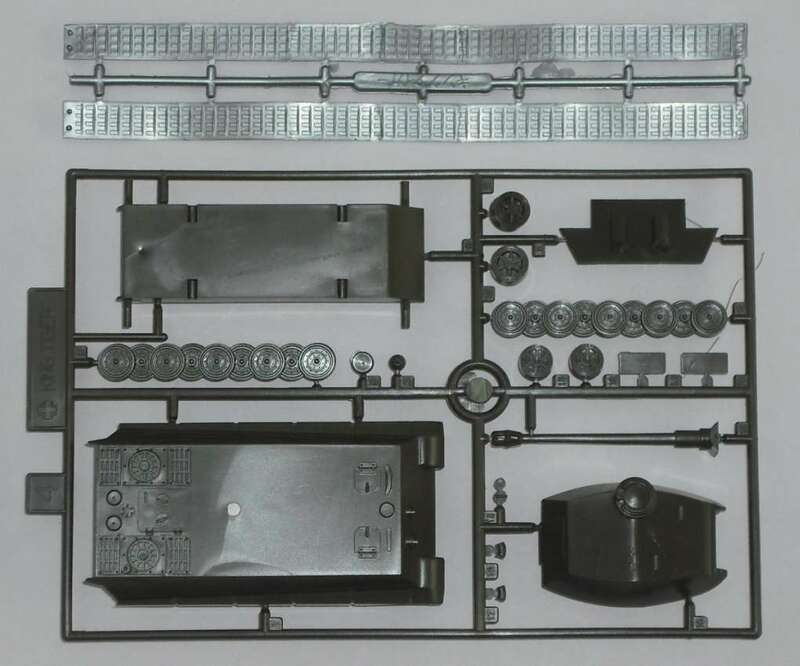 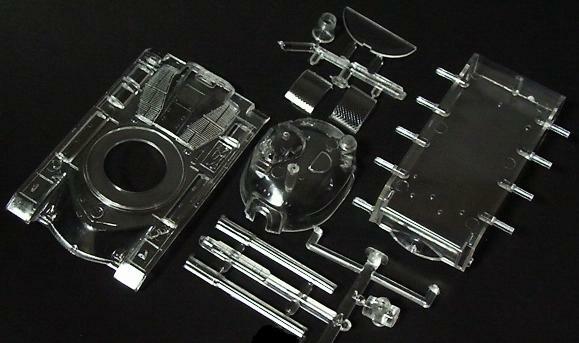 These kits were molded in transparent plastic with interior parts.